What archaeologists uncovered along the Rampion cable route: after describing the landscape, the talk will turn to the discoveries they made including the Anglo-Saxon execution burial site that was found on Beeding Hill. 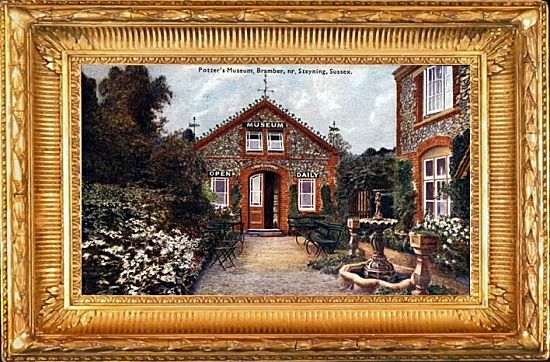 A talk by Ed Blinkhorn and Garrett Sheehan to Beeding & Bramber Local History Society at 7:45pm on Wednesday 3rd April 2019 in the Village Hall, Upper Beeding. There is a hard-to-detect car park immediately opposite. 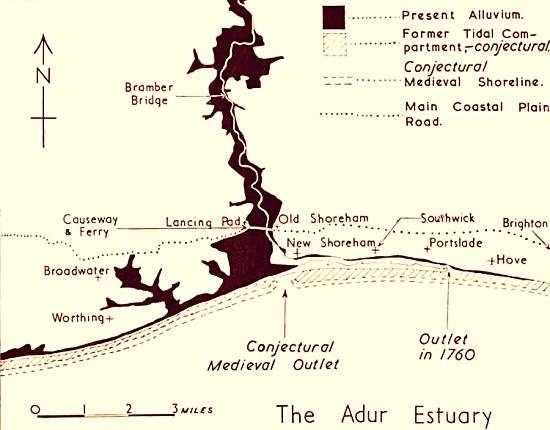 A talk by Geoffrey Mead to Beeding & Bramber Local History Society at 7:45pm on Wednesday 6th February in the Village Hall, Upper Beeding. There is a hard-to-detect car park immediately opposite. 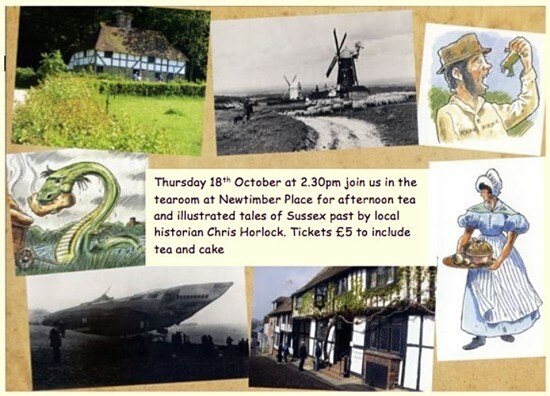 Dr. Mead is a geographer at the University of Sussex and his local history talks are always interesting and well illustrated. 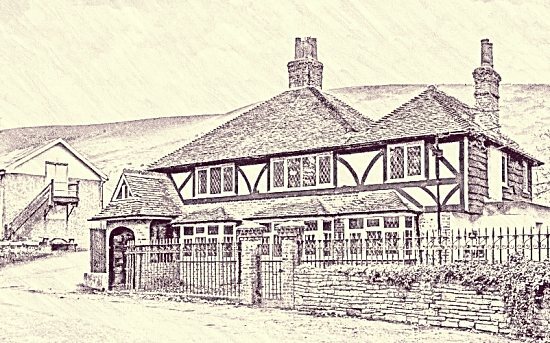 A talk by Alan Barwick (curator of Henfield Museum) to Beeding & Bramber Local History Society at 7:45pm on Wednesday 9th January 2019 in the Village Hall, Upper Beeding. There is a hard-to-detect car park immediately opposite. Alan’s talks are always worth hearing and the visual side has the benefit of his own large collection of local postcards. A talk by Ian Everest to the Henfield History Group at 7:45pm on Tuesday 8th January in the Free Church Hall. Strongly recommended by ARB and GJMG (who attended a version of the same talk given in Upper Beeding in 2017). Captain Masters and his young wife Dorothy then set about converting the two cottages into a single dwelling. The interior was refurbished to a high standard and included oak panelling, a chandelier and wall lights (modified for electricity), all salvaged from the ruins of Cowdray Castle which had been largely destroyed by fire in 1793. Additional features were an aviary, which could be viewed from the staircase in the house and stables for his horses built at the back of the property. Tom Nolan, a groom who lived with his family in September Cottage looked after the Masters’ horses and they were shod at the forge adjacent to the house (on the site of what is now Springs Smoked Salmon). The blacksmith was a Mr Buckman, who by this time had moved to a cottage in Saddlescombe. 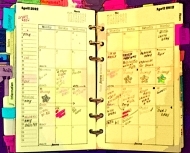 In addition to a groom, the Masters also employed a housekeeper (Tom’s wife Edith, initially) and, later, a secretary. Both Leslie and Dorothy Masters were motoring enthusiasts and owned three cars between them. Two of these belonged to Dorothy, one being a sports car with hand made bodywork. 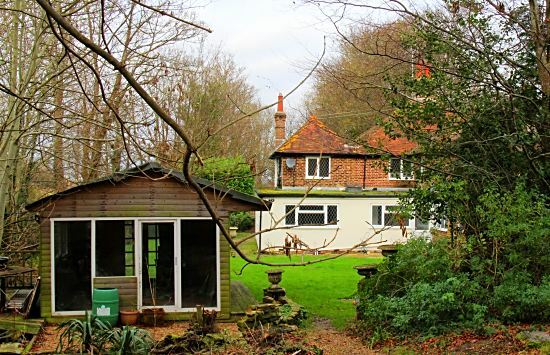 Following Dorothy’s death from cancer, Captain Masters married her sister Janet who shared his love of horses and they moved to Freshcombe Lodge on Truleigh Hill. His dogs are buried in a dogs’ cemetery just behind and above The Springs. After Captain Masters left, The Springs was sold to Arthur and Nora Hands. Arthur was a hard drinking vet. 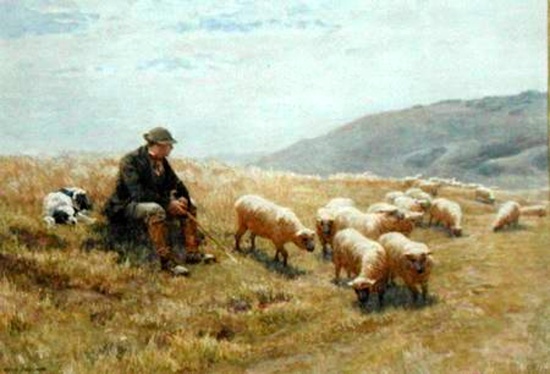 He was reputed to be the only person who could drive the narrow windy road from the Shepherd & Dog to Edburton when he could barely stand up or see — villagers claimed his car knew its own way home and drove itself. He was later appointed as vet to a circus and the (possibly apocryphal) story goes that he came to an untimely end when an elephant sat on him. Following Arthur Hand’s death, Henry Harris purchased the house at auction in Brighton for £6000 and it was then rented out to a series of tenants. One such tenant made it available to Henry’s son Geoffrey Harris for his wedding reception in November 1952. Later, Geoffrey with his wife and family rented it from his father. Following Henry’s death in 1964, Geoffrey purchased the house from his father’s trustees. 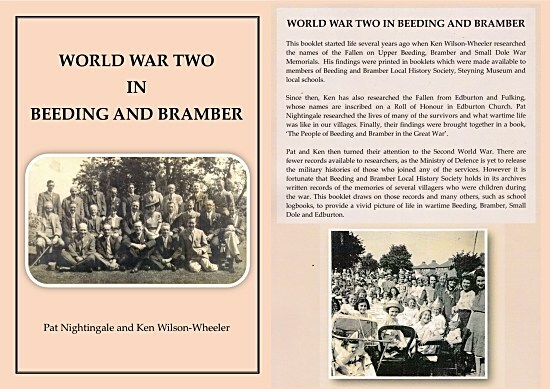 Pat Nightingale and Ken Wilson-Wheeler have released an updated version of their pamphlet World War Two in Beeding and Bramber. New to this version is an interesting page devoted to Flying Officer Gerald Gordon Lonsdale whose memorial can be found above the organ in St. Andrew’s. Like the earlier WWI book, the pamphlet covers Beeding, Bramber, Edburton, Fulking and Small Dole. It includes brief biographies of those who died including Flight Sergeant James William Lucas (son of Percy Lucas) and Chief Officer John A. Ridge, both of Fulking. The updated pamphlet (price £6.00) can ordered direct from Pat at Bowfell, Hyde Street, Upper Beeding, BN44 3TG (01903-812847) or via email. If you like watching Shire horses do a task that is better done by a tractor, then this clip is for you. 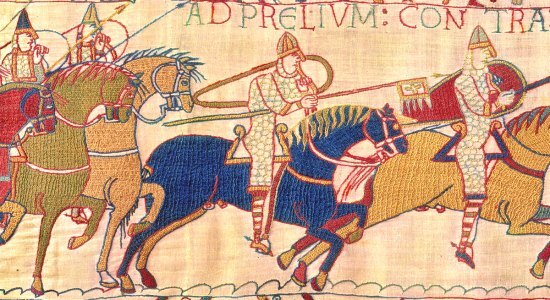 In addition to the two horses, there are eight people shown. If you recognize any of them, please let us know. A talk by Stewart Angell (author of Tottington Manor: Sussex WWII Auxiliary Units HQ and The Secret Sussex Resistance) to Beeding & Bramber Local History Society at 7:45pm on Wednesday 3rd October in the Village Hall, Upper Beeding. There is a hard-to-detect car park immediately opposite.